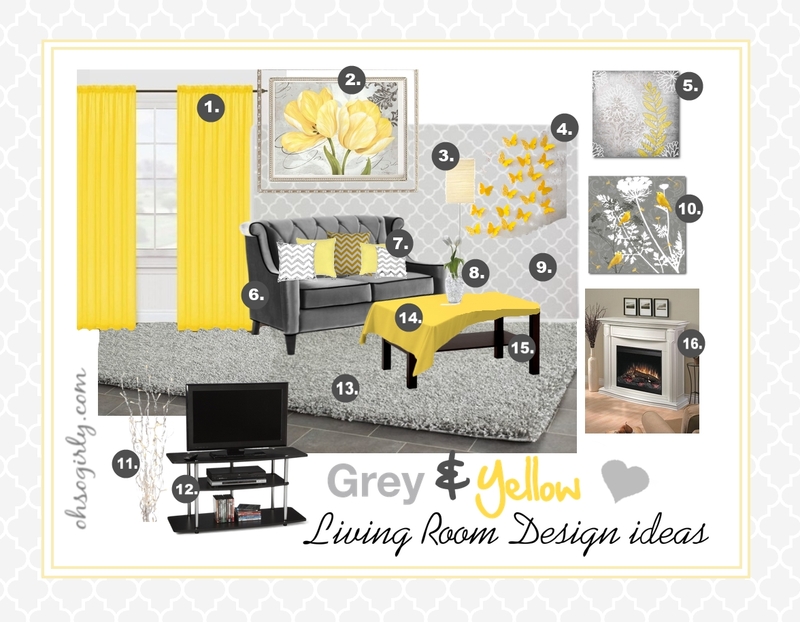 Yellow and Grey Living Room Design idea - Oh So Girly! This vintage style painting is a poster that’s made by PosterArtNow and sold via Amazon.com. You can see is on Amazon via this link. This 16 inch x 16 inch canvas is made by Courtside Market and is sold via Amazon. You can see this wall art on Amazon via this link. This stylish, vintage-style loveseat two-seater sofa is made from gray velvet with black piping, and it’s from the Barrister collection made by Armen Living. You can see it on Amazon.com via this link. The flower vase in this design is this one from Amazon.com. You can get this grey quatrefoil wallpaper from Spoonflower. Here’s the link to that product on there: Grey Quatrefoil Wallpaper. Spoonflower also allow you to get the same pattern printed on fabric if you like being crafty and sewing your own pillows, tablecloths and other soft furnishings. This gray and gold canvas wall art is 16 inch x 16 inch, is made by Courtside Market, and is sold by Amazon.com. You can find it on Amazon via this link. The rug featured in this design is a Safavieh Shag area runner rug / carpet. It’s received a ton of great reviews on Amazon. The tablecloth in this set is this one (see link) from Amazon.com. The coffee table in this set is this IKEA lack coffee table from Amazon.com.